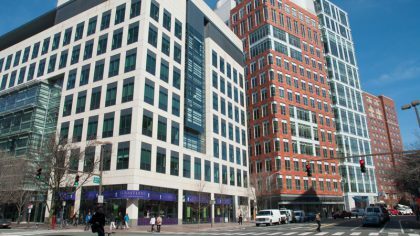 The Broad Institute is a collaborative partnership representing scientists from MIT, Harvard, and Harvard-affiliated hospitals. Broad members — including several with academic appointments in the Department of Biology — team up to undertake pressing problems in biomedical science that are beyond the scope or capabilities of their individual laboratories. 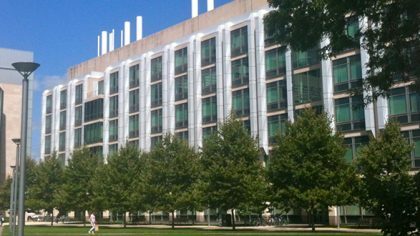 The Koch Building — named after David H. Koch (SB & SM ’62) and known among insiders as “Building 68” — is a research and teaching facility, as well as the administrative headquarters for MIT Biology. Within a five-minute walk of all other research locations, it serves as the central hub for collaboration and oversight of department activities. Research in the Koch Building spans many areas of fundamental biology, including genetics, biochemistry and structural biology, cell biology, microbiology, neurobiology, and developmental biology. 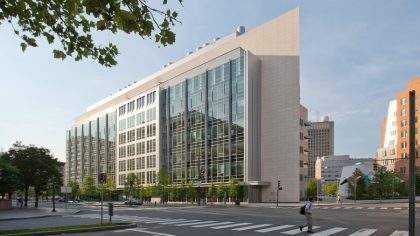 The Koch Institute is a NCI-designated Basic Cancer Research Center and the hub of cancer research on the MIT campus. Bringing together faculty from the Departments of Biology, Biological Engineering, Chemical Engineering, and others in a state-of-the-art facility, the Koch Institute offers interdisciplinary perspectives and approaches to advancing the fight against cancer. The institute aims to develop novel insights into cancer, as well as new tools and technologies to better detect, treat, and prevent the disease. 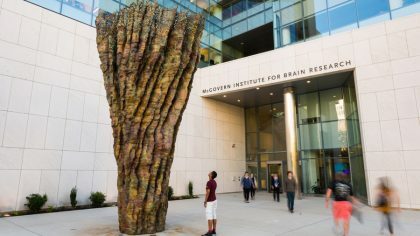 The McGovern Institute is led by a team of world-renowned neuroscientists committed to meeting two great challenges of modern science: understanding how the brain works and discovering new ways to prevent or treat brain disorders. 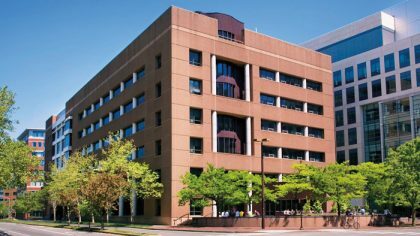 All McGovern faculty hold appointments in one or more academic departments at MIT, including the Department of Brain and Cognitive Sciences, Biology, and Biological Engineering. The Picower Institute is an independent research entity within MIT’s School of Science, dedicated to understanding the biology and neuroscience behind learning and memory and related functions such as perception and consciousness. Researchers investigate the basic science of the brain and explore how their findings may produce new treatments and methods of diagnosis. Faculty members hold academic appointments in Brain and Cognitive Sciences, Biology, Chemical Engineering, IMES, and the Broad Institute. 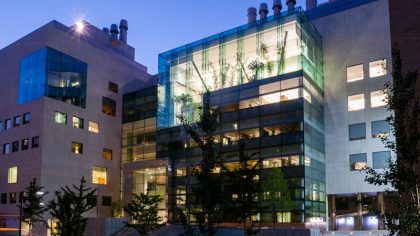 The Whitehead Institute is a nonprofit, independent research and educational institution, whose founding vision is to improve human health through fundamental biomedical research. Whitehead faculty — who all hold academic appointments in the Department of Biology — run pioneering programs in cancer research, immunology, developmental biology, stem cell research, regenerative medicine, genetics, genomics, cell biology, biological chemistry, and plant biology.